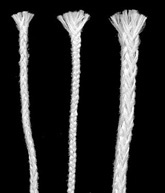 Woven wicks are attractive and stay that way...won’t burn down! Bulk Fiberglass Wick is sold by the foot in multiples of 10 ft. Suggestion: If you require a large amount of wick for a project, try a 10 ft. package of wick first to be sure you are using the correct size. NOTE: If carbon builds at the tip of your wick, just brush it off to gain optimum flame. 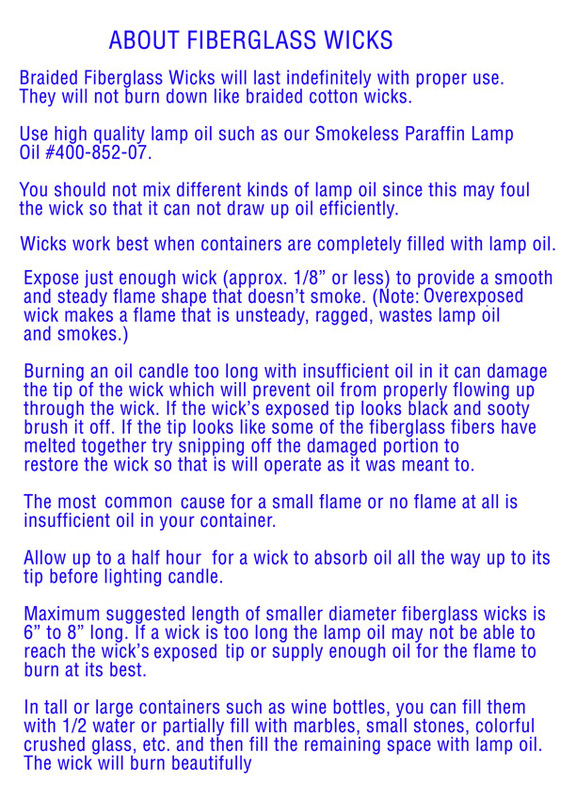 IMPORTANT: After installing wick and lamp oil allow ample time for wick to absorb lamp oil before lighting. 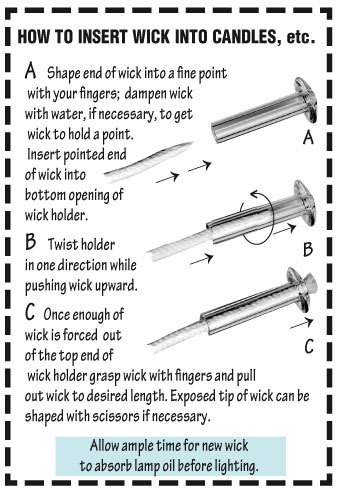 in multiples of 10 ft.
Click the Icon above for helpful information on how to properly use Fiberglass Wicks. Wick for Oil Candles, 3/32" dia. Wick for Oil Candles, 5/32" dia. Wick for Oil Candles, 1/4" dia. 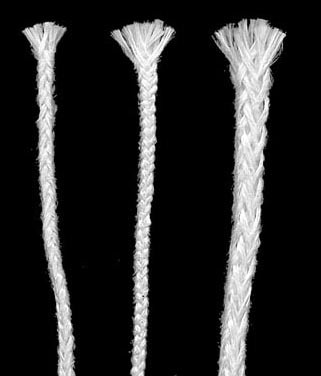 Wick must be ordered in multiples of 10 feet of a stock number (5 ft., 10 ft., 20 ft., etc.). Please observe minimum.